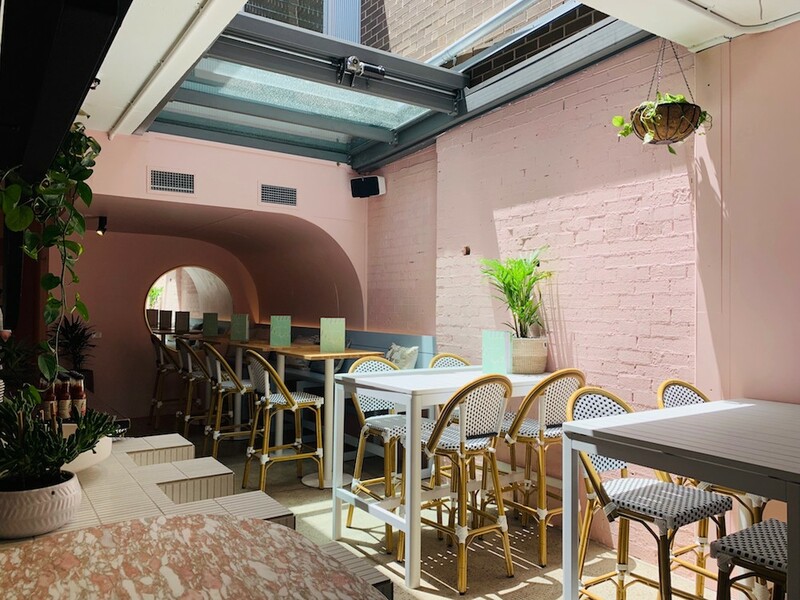 Co-owners of The Cottage Bar & Kitchen in Balmain, Rob Teitzel and Osman Misirlizade have opened their second venue in Glebe. Drawing inspiration from the beautiful colours and flavours of South Carolina coastline, The Charleston, located on Glebe Point Road, transports customers to modern Southern living. Featuring dusty pink walls, muted periwinkle seating and exposed brickwork throughout, the restaurant is reminiscent of Charleston’s historic waterfront and pastel-coloured homes. The 60-seater venue boasts a large skydoor allowing natural light to filter through the venue, setting the scene for casual dining in a fun and relaxed environment. The space is perfect for mid-week dinners or weekend get-togethers with friends. The cocktail menu pays homage to the venue’s namesake southern roots, featuring infused sweet teas, dubbed the ‘Champagne of the south’. Hero summer cocktails include The Charleston Sling (lemongrass infused gin, rose hip tea, lemon juice, simple syrup), Carolina High Tea (Bulleit rye bourbon, peach liqueur, peach iced tea, lemon juice) and Plantation Negroni (plantation pineapple infused rum, Campari, Rosso Vermouth). On tap you’ll find Young Henrys Natural Larger and Stayer Mid Strength & Newtowner tinnies chilling in the fridge. On the food front, drawing inspiration from the shorelines of South Carolina, you’ll find a selection of fresh seafood, barbequed meats and vegetarian dishes incorporating flavours from the south. Sourcing the best local produce, the menu will feature a Lobster Roll with kohlrabi, apple remoulade, house pickle and served in a luxe milk bun, freshly shucked Sydney Rock Oysters and Corn Tortilla Tacos with a choice of fish, pulled pork or cauliflower popcorn fillings. Small and large dishes to share include Baby Octopus with Olives, Minted Peas Puree, Pea Shoots and Watermelon Radish and BBQ Beef Short Rib served with Sweet Corn and Chimichurri, whilst dessert option Brioche Donuts with Bourbon Glaze satisfies any sweet cravings.